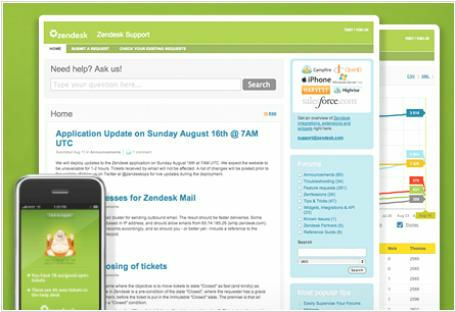 What is Zendesk Talk ? 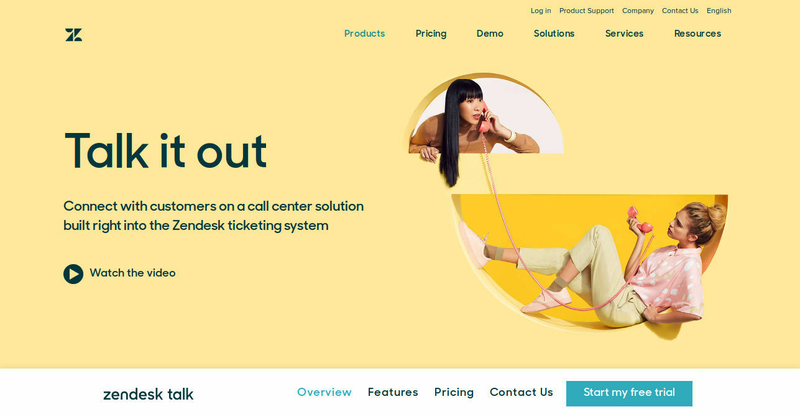 Zendesk helps you to connect with your customers using it’s cloud-based call center solution. It allows you to choose a toll free number for delivering your service. Using this software, you can receive unlimited inbound calls and also you can support your customers by making outbound calls. 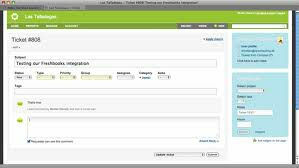 In addition it allows you to make concurrent calls to support multiple conversations from same number. It provides browser-based call center solution that allows you to manage all your calls from browser and does not require any phone hardware. Moreover, it allows you to record all calls that can be later used for QA. 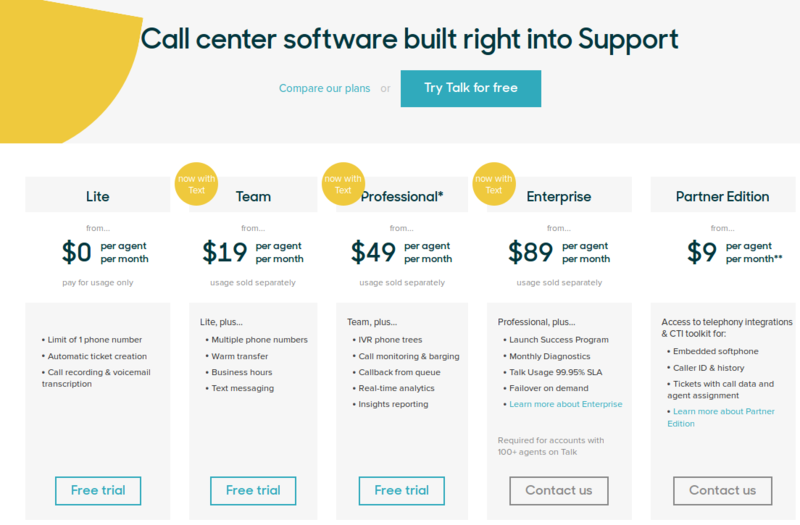 How much does Zendesk Talk cost ? The pricing for Zendesk Talk starts at $9.0 per user per month. Zendesk Talk has 4 different plans such as - Partner Edition at $9.0 per user per month, Team at $19.0 per user per month, Professional at $49.0 per user per month and Enterprise at $89.0 per user per month. Zendesk Talk also offers a Free Plan with limited features. Please Contact the vendor for Detailed Pricing of Partner Edition Plan. Please Contact the Vendor for Detailed Pricing about Enterprise Plan. 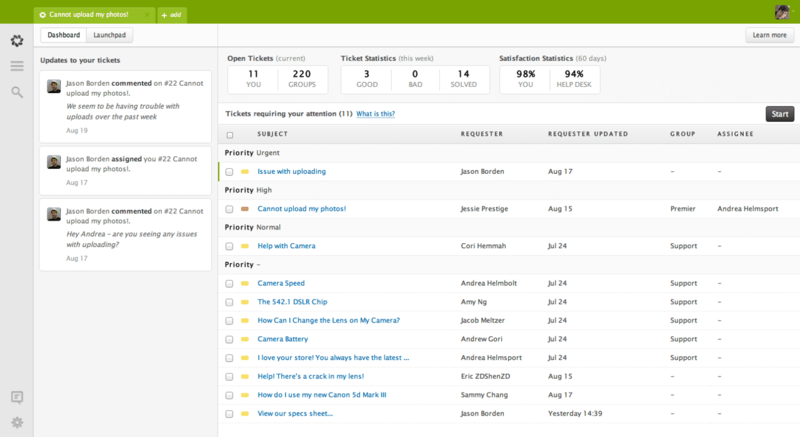 Pros: Zendesk has a clean interface and many features (maybe too many). It takes time to understand how it works and the logic behind the software. Cons: During the free trial, a live chat was available for technical support and the support provided was exceptional. As soon as we upgraded our free trial to a paid account, the live chat was never available for our account and when we have an issue, we have to send an email. The Support Team replies after many hours (even to critical issues), with answers that do not solve the issue. They reply once a day (one email per day), and it usually takes about 6 days to solve an issue. - If you can tweak it , you can make your own notification when new tickets come in. Cons: The ram usage when opening several tickets could be high but it's not really a problem. Overall: So far this is the best platform or software that I've been experiencing as a Customer Support. The UI is really amazing and make yourself really efficient! Pros: I absolutely love Zendesk's remote chat software product line. Our customers and clients rely on self service to an increasing amount so this is exactly what we needed. Fast, affordable, and reliable knocks it out of the park on all fronts. Cons: It may take weeks/months to set up all the features to your specific liking, but once you do the results speak for themselves. Overall: Zendesk has become an integral piece of our business processes. Zendesk does exactly what we need it to do. Pros: The reliability. In 4 years of using it we've rarely encountered any issues. The integration with other programmes is seamless. The best ticketing system that I've used. Cons: Sometimes it's not apparent that a colleague is responding to a ticket (the icon doesn't appear, or appears greyed out) but refreshing the page fixes this. Extremely intuitive and easy communication and problem resolution tool. Pros: Very easy to understand and a great tool for quick and simple customer resolutions and troubleshooting. Cons: Customers have complained about having to create a separate login for our Zendesk user interface. Pros: Very user friendly, easy tip use and configure. Feature rich software. Cons: Trial version has all the features but once set up, if purchasing only basis version these features aren't included. 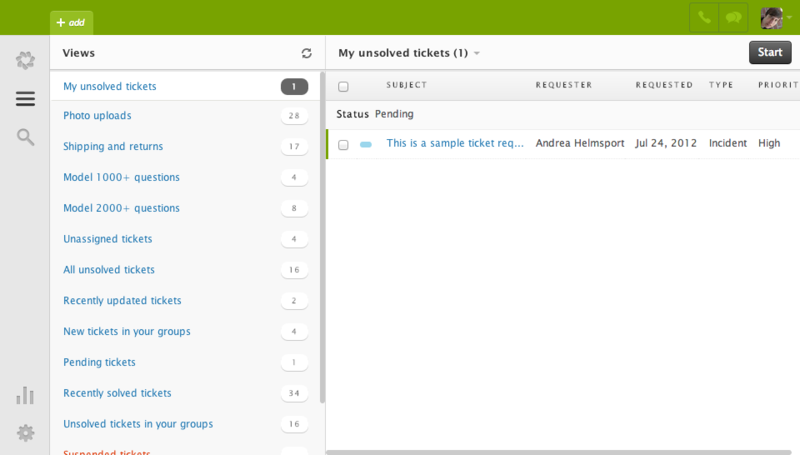 Pros: Zendesk is very easy to use and provides just enough features to not seem overwhelming, yet gets the job done. I've never experienced any issues with Zendesk. Cons: The price seems to be a little on the higher end, but it's a great quality software. Overall: I've implemented Zendesk into many websites that I've built for customers and have had no issues. Each customer has been happy with the software as well. Pros: very easy and professionally managed and no glitches at all. Cons: phone calls are not that great on this software, lil too much work for calls on it. Pros: Fairly simple to setup. I do recommend calling customer service to make sure you find all the settings you might need. Once it is running, even if you don't have someone manning the chat feature, it will send an email. Extremely reasonable on price for one user. Cons: Can be confusing for settings. Really need someone that is dedicated to manning the chat feature at least during the day. 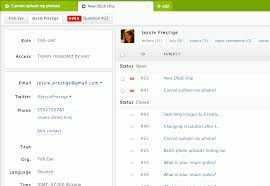 Overall: Very affordable chat function for your website. Which is the most popularly used Call Center Software? 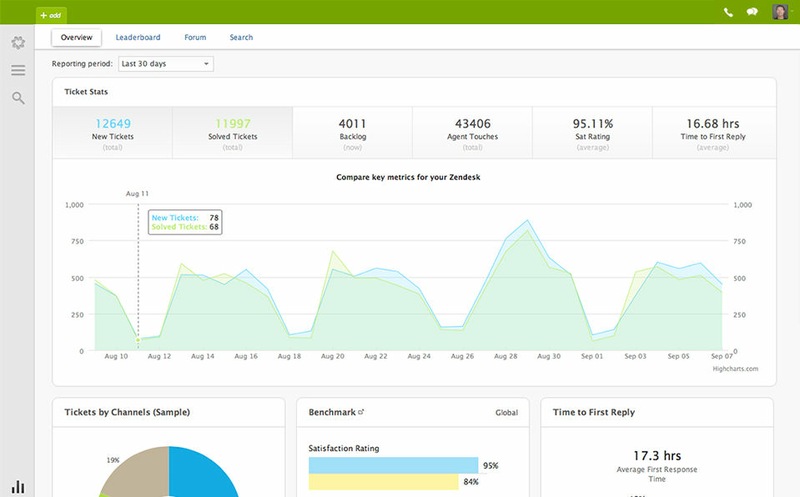 The most widely used call center software is Zendesk.